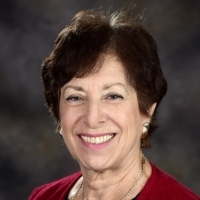 Linda S. Birnbaum, Ph.D., is director of the National Institute of Environmental Health Sciences (NIEHS) of the National Institutes of Health, and the National Toxicology Program (NTP). A board-certified toxicologist, Birnbaum has served as a federal scientist for nearly 39 years. Prior to her appointment as NIEHS and NTP Director in 2009, she spent 19 years at the U.S. Environmental Protection Agency (EPA), where she directed the largest division focusing on environmental health research. Birnbaum has received many awards and recognitions. In 2016, she was awarded the North Carolina Award in Science. She was elected to the Institute of Medicine of the National Academies, one of the highest honors in the fields of medicine and health. She was also elected to the Collegium Ramazzini, an independent, international academy comprised of internationally renowned experts in the fields of occupational and environmental health and received an honorary Doctor of Science from the University of Rochester and a Distinguished Alumna Award from the University of Illinois. She also received an Honorary Doctorate from Ben-Gurion University, Israel; the Surgeon General’s Medallion 2014; and 14 Scientific and Technological Achievement Awards, which reflect the recommendations of EPA’s external Science Advisory Board, for specific publications. Rainer Lohmann is Professor of Oceanography at the University of Rhode Island’s Graduate School of Oceanography. He obtained a Ph.D. in Environmental Science from Lancaster University (UK) in 1999, and a BSc in Chemical Engineering from EHICS (Strasbourg, France) in 1996. He is Director of the new Superfund Research Center at URI: Sources, Transport, Exposure and Effects of PFASs (STEEP). With funding from NIH, SERDP, NSF and private foundations, his group conducts research into the sources, transport, and bioaccumulation of anthropogenic pollutants. He has published over 100 peer-reviewed articles, and received numerous international fellowships and awards. He serves as Editor for Environmental Toxicology and Chemistry, and is on the Editorial Boards for Environmental Science and Technology and Environmental Science and Technology Letters, among others. Jamie DeWitt, Ph.D., is Associate Professor of Pharmacology and Toxicology at East Carolina University. She obtained a Ph.D. from Indiana University-Bloomington in the School of Public and Environmental Affairs as well as the Neuroscience Program to complete degrees in Environmental Science and Neural Science with an emphasis on the neurodevelopmental toxicology of polychlorinated biphenyls (PCBs) and dioxins. She completed her postdoctoral training at the National Health and Environmental Effects Research Laboratory through a cooperative training agreement with the University of North Carolina at Chapel Hill. While there she focused on the immunotoxicology of organotins found in PVC piping and immunotoxicity of perfluorooctanoic acid (PFOA), a perfluoroalkyl substance used in the manufacture fluropolymers. 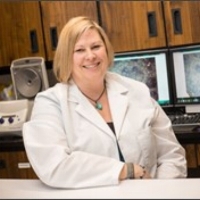 Currently, her lab uses tools from developmental toxicology, immunotoxicology, and neurotoxicology to understand effects of per- and polyfluoroalkyl substances (PFASs), pharmaceutical and personal care product pollutants (PPCPs), and other emerging aquatic contaminants. The DeWitt Lab focuses on how exposure to these agents changes physiological processes, so while interest lies in the toxicants themselves, the lab also uses them to better understand how living organisms function under normal situations and situations of stress induced by contaminant exposure. Communities in several states have recently reported concerning levels of perfluoroalkyl and polyfluoroalkyl substances (PFAS) in their drinking water. This class of toxic chemical compounds is found in a wide range of common industry and household products and some studies have linked exposure to altered fetal development, higher cancer risks, and fertility issues. But the science is nascent and only a fraction of the many types of PFAS have been thoroughly researched. SciLine’s next media briefing will cover what scientists know about the health effects of PFAS exposure, the lack of consensus on what level of exposure is “safe”, and what is being done to detect and address PFAS contamination in affected communities. This briefing will be web-based and accessible via telephone or computer, so you can attend and ask questions from wherever you are.